Decorated apartment complete with beach service and incredible recreation area! Full apartment, Comporta maximum 6 adults and 2 children, has three suites, cable TV in the living room, air conditioning in the living room and in the three suites, a guest toilet, very large room with air conditioning integrated into a huge balcony with barbecue, fully equipped kitchen equipped with utensils, dishwasher, and laundry area with washing machine. Wifi in the apartment. With beach service. The recreation area is a real club with Squash court, heated swimming pool, full gym, game room, pool room, barbecue on the balcony and leisure area, ice maker, gourmet lounge and parties. Two parking spaces. The beach is quiet and the sea always calm. 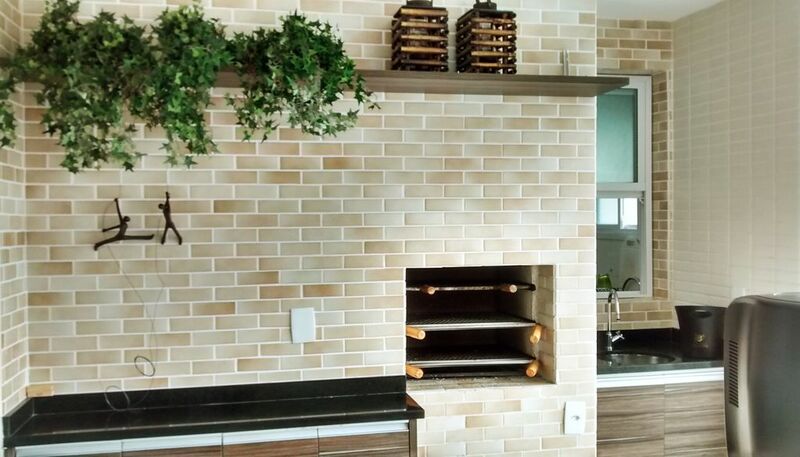 The best restaurants in Guaruja are 300 meters of the building: Rufinos, Dalmo, Il Faro, Pizzeria. Supermarket Extra, Sugar Loaf and greengrocers. Bathrooms suites with white porcelain tiles, glass shower, gas showers. The condo offers an ice factory with free delivery to the shareholders. O apartamento é lindo e bem estruturado, com bastante espaço... recomendo. Obrigada Aparecida e família Estamos a disposição!!! The Traveler can enjoy the beautiful beach of Enseada. To know the beach of the Perequê, Pitangueiras, Asturias. Shopping Jequiti (from Silvio Santos) and See more tips in the Annex.